Over/Under: Over 162.0 at 1.90 Bet Now! The history of games between these two sides doesn’t make easy reading for a Brose Baskets fan. The teams have clashed 8 times in the past decade, and the Moscow side has won every game. A German basketball side hasn’t won in Moscow since back in 2000 so history is not on the side of Bamberg but all runs have to come to an end at some point, don’t they? CSKA Moscow steamrolled their way through the regular season last campaign and they look as though they are in the mood to do the same again this year. With a 2-0 record so far, the Moscow side are limbering up well and they will be confident that they can win this game with a minimum of fuss and effort. When you have players with the skill and talent of Nando De Colo and Milos Teodosic, you can see why the Russians have been the dominant team in their opening two games of the new season, which they will hope to continue this week. 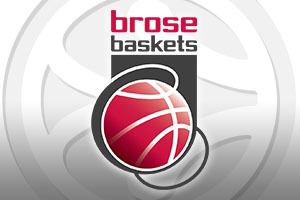 Knowing that history is not on their side, Brose Baskets have absolutely nothing to lose in this game. It should be a special occasion for Nikos Zisis who will be heading back to Moscow to take on his former employer. It may be that the work rate and effort deployed by Elias Harris and Nicolo Melli will play a big role in the away team taking anything from this game. It won’t be easy, in fact, it could be an outright battle at times but Brose Baskets have to think that any sort of strong performance will be welcomed in Moscow on Thursday night. 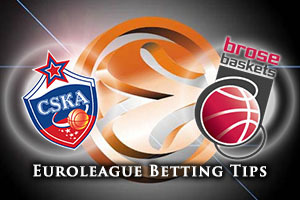 You won’t find many bigger favourites on the night than CSKA Moscow and you can find Brose Baskets available with a +16.5 handicap, at odds of 1.90. The home side should win but if the away team can put up some resistant, there is value to be found in these odds. For the Over/Under market, going OVER 162.0 at odds of 1.90, could be worth a gamble. Bet Now!